What you see is not always what you get. And when it comes to the Cybex Callisto that’s meant in the most complimentary way. 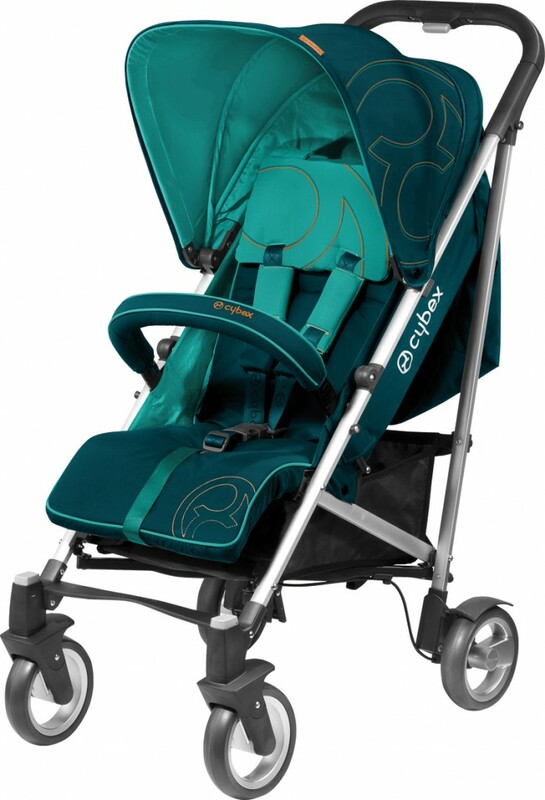 If not for the absolutely lovely colors you might just pass by without a second glance, which would be a shame considering this stroller is smoother than a Rob Thomas number. 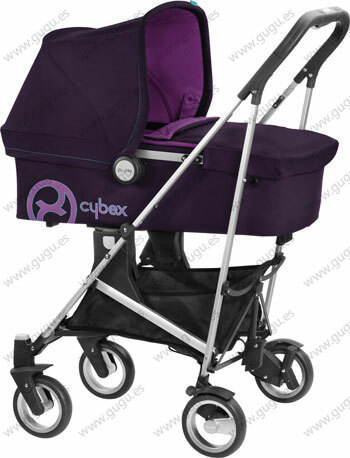 It’s compact and light but has patent pending rotating suspension that gives you and baby the most relaxing ride possible. Callisto is a mere 33x20x41 and weighs in at 19.77 lbs but can still take a car seat and has an optional matching bassinet as well! 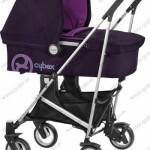 The handle is smooth and adjustable and the canopy is big enough to cause a mini solar eclipse just for baby. 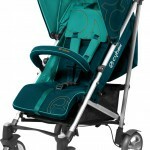 The canopy can also move up and down the frame making this stroller suitable for kids up five or six years old! What really sets this ride apart? 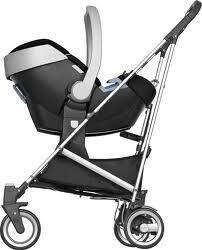 This is a German design and engineered car (sorry, stroller) and you can feel it in every step. The wheels are only 6.7″ in diameter but they eat up the bumps without a sound and don’t show any sign of wear even after months of use. Cybex is the only stroller I know of with a push button harness, very similar to how infant car seats have internal adjustability which is super convenient for today’s parents. According to Cybex, the Callisto “successfully fuses function and comfort” and I could not agree more. 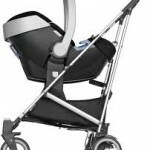 The stroller has an elegant simplicity to it, it’s practical but stylish and modern. Callisto has an easily removeable head cushion and seat fabric which is washable. There is also a four position one hand recline and room for Mommy/child cup holders (optional). A belly bar is included but a rain cover, car seat adapter, and bassinet are all optional accessories. The fold is super easy, just like a typical umbrella, and is also ultra compact at 43x12x16. Would I change anything on Callisto? I would love a handle that adjusts in a circular position but besides for that I would buy this stroller today if I needed one. Bottom line? Whether you’re navigating cracked sidewalks or taking on grass, with Callisto it will always feel like a walk in the park.